Rising Sun is set in Feudal Japan. It is the time of Shintos, Bushis, and Daimyo. The political situation hangs in a tense balance, as alliances are formed and broken and the threat of war is ever-present. Ancient clans call upon mythical Japanese Monsters to assemble with their forces, and when diplomacy fails, they’re ready to go into battle. 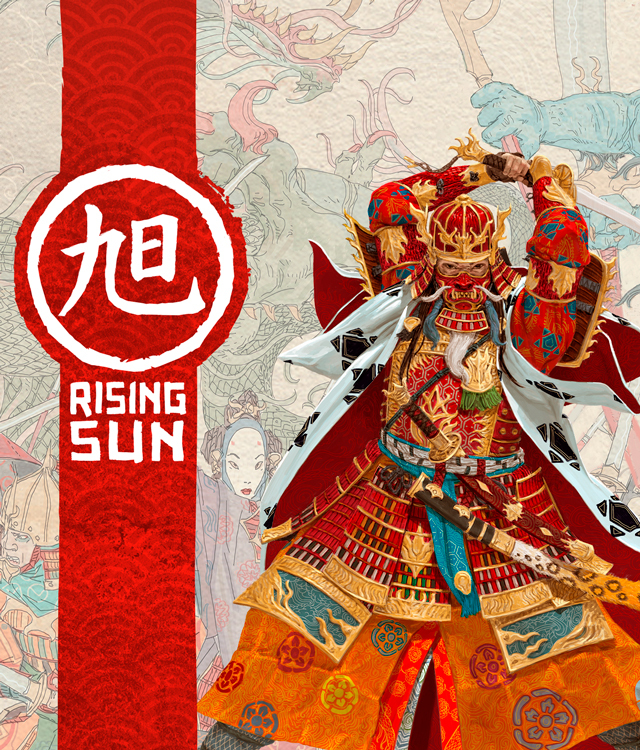 Rising Sun is a game about politics, tradition and war by Eric M. Lang with art by Adrian Smith.